Shot Blasting is the most conventional way to blast clean or strip away an area. Shot-blasting is a heavy blasting process that literally shot the abrasive elements at a very high speed to remove the unwanted elements or coating. The Shot Blasting process is usually very destructive as it pits and heats the metal. 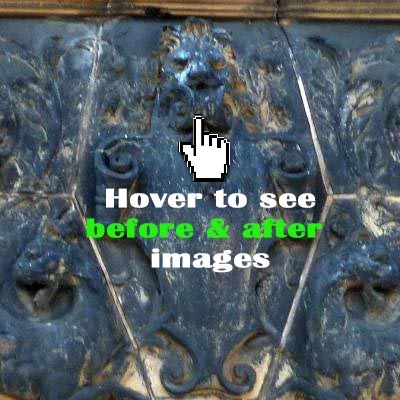 It can worsen the damages of the rust and if used on brick or stone it can damage the surface and the fine details. Furthermore the use of sand as abrasive media can cause serious health issues. This very aggressive process is only suitable for heavy industrial cleaning process, nevertheless, the term Shot-Blasting is still generally used to describe similar, but more gentle techniques. The most effective and eco-friendly Shot Blasting technique is known as the Soda Blasting method. 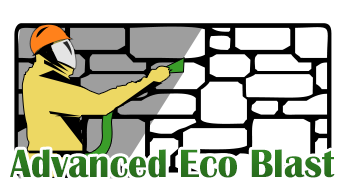 The soda blasting is the shot blasting method that we at Advanced Eco Blast Ltd specialise at. The system used is the Gritco advanced technology. This innovative technology allows us to control and modified the pressure according to the needs, making the cleaning process quite versatile and non-destructive as the traditional Shot Blasting methods. The system works with different types of blasting media all very soft abrasive. The Restofine is a very effective blasting media, a superfine abrasive which is also eco-friendly. With its very fine angular grains allows a soft scraping action which will clean very thoroughly and effectively without making any damage to the surface. It works very well for metal stripping, paint stripping, wood stripping, graffiti removal and brick cleaning. Armex which is made of specially formulated sodium bicarbonate allows a very gentle cleaning. Both media do not contain iron or free silica and therefore they are safe for the user and the environment. 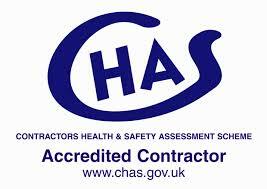 We always carry out a site visit so as to check the job requirements. If you have any queries about our shot blasting services feel free to contact us and we will be happy to come over and discuss what you need in more detail.